Cool rebel girl vector with punk attitude. Rebellion will never die; the rebel spirit will survive in the hearts of the young generations. 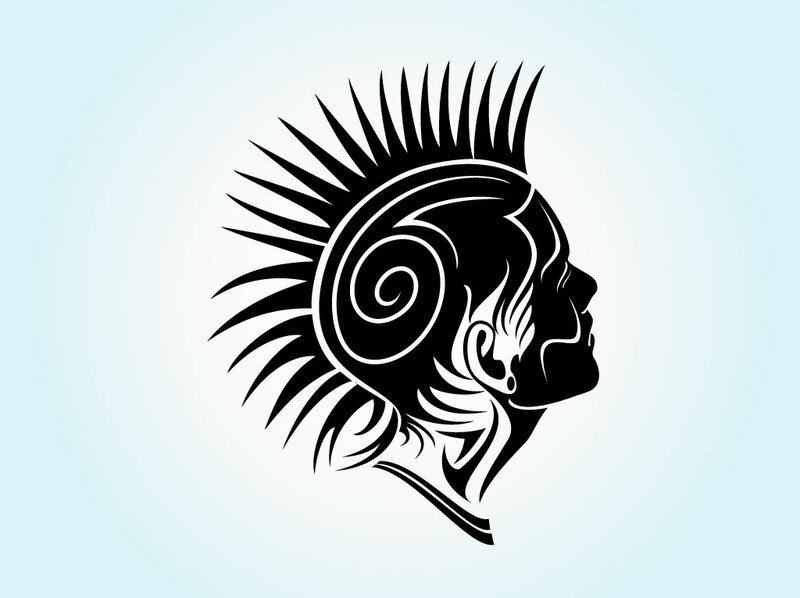 Profile view of a young girl with Mohawk hairstyle and reversed abstract designs. The lifestyle and punk movement themed image comes with a light blue and white radial gradient background. Free download for tattoo flash art, Occupy movement posters, custom skateboard deck graphics and embroidered patches. Tags: Occupy, Rebel, Rebellion, Revolt, Subcultures, Tattoo, Tribal, Underground.